The EU has today started the process that could lead to the temporary suspension of Cambodia’s preferential access to the EU market under the Everything But Arms (EBA) trade scheme. EBA preferences can be removed if beneficiary countries fail to respect core human rights and labour rights. Launching the temporary withdrawal procedure does not entail an immediate removal of tariff preferences, which would be the option of last resort. Instead, it kicks off a period of intensive monitoring and engagement. The aim of the Commission’s action remains to improve the situation for the people on the ground. 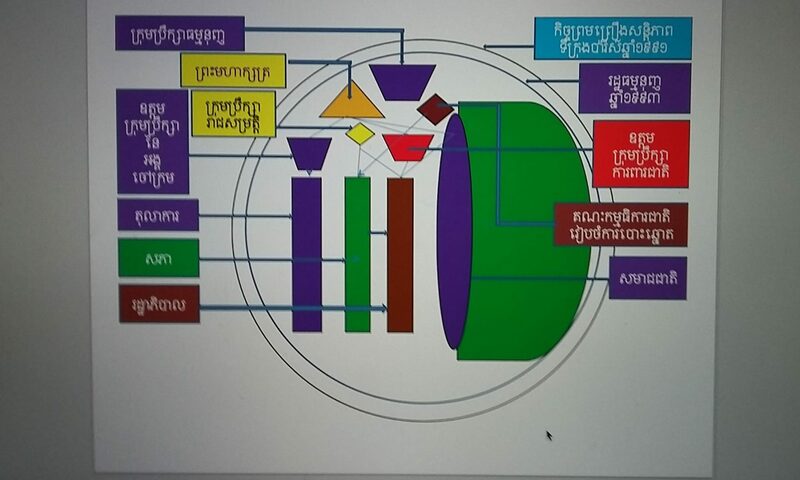 Following a period of enhanced engagement, including a fact-finding mission to Cambodia in July 2018 and subsequent bilateral meetings at the highest level, the Commission has concluded that there is evidence of serious and systematic violations of core human rights and labour rights in Cambodia, in particular of the rights to political participation as well as of the freedoms of assembly, expression and association. These findings add to the longstanding EU concerns about the lack of workers’ rights and disputes linked to economic land concessions in the country. – after a total of twelve months, the Commission will conclude the procedure with a final decision on whether or not to withdraw tariff preferences; it is also at this stage that the Commission will decide the scope and duration of the withdrawal. Any withdrawal would come into effect after a further six-month period. High Representative/Vice-President Mogherini and Commissioner Malmström launched the internal process to initiate this procedure on 4 October 2018. Member States gave their approval to the Commission proposal to launch the withdrawal procedure at the end of January 2019. The Everything But Arms arrangement is one arm of the EU’s Generalised Scheme of Preferences (GSP), which allows vulnerable developing countries to pay fewer or no duties on exports to the EU, giving them vital access to the EU market and contributing to their growth. The EBA scheme unilaterally grants duty-free and quota-free access to the European Union for all products (except arms and ammunition) for the world’s Least Developed Countries, as defined by the United Nations. The GSP Regulation provides that trade preferences may be suspended in case of “serious and systematic violation of principles” laid down in the human rights and labour rights Conventions listed in Annex VIII of the Regulation. 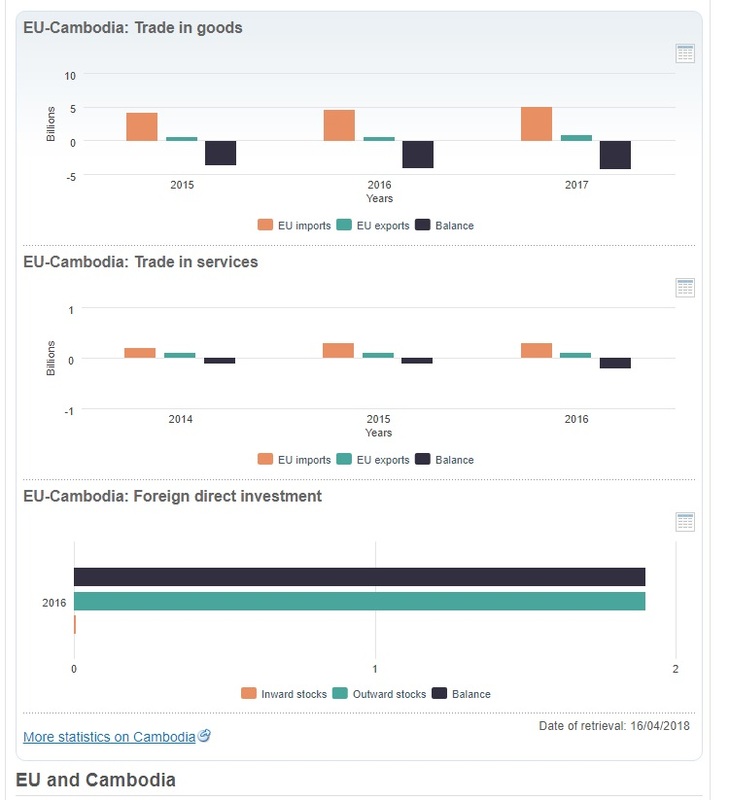 Exports of textiles and footwear, prepared foodstuffs and vegetable products (rice) and bicycles represented 97% of Cambodia’s overall exports to the EU in 2018. Out of the total exports of € 4.9bn, 99% (€ 4.8bn) were eligible to EBA preferential duties. BRUSSELS, Feb 11 (Reuters) – The European Union started on Monday an 18-month process to end Cambodia’s preferential trade access to the bloc over its record on human and labour rights and democracy. The European Commission, which coordinates trade policy for the 28-member EU, said that its decision would be published in the EU official journal on Feb. 12, triggering a countdown that would run until August 2020.